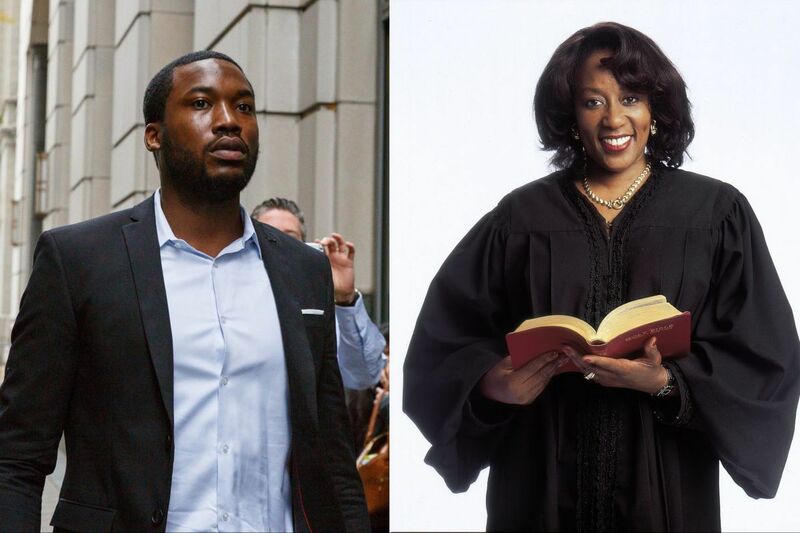 After stomaching months of criticism in silence, the Philadelphia Common Pleas Court judge who sent the rapper Meek Mill back to prison has hired a high-profile Center City lawyer and is fighting back. In an interview, Judge Genece E. Brinkley's newly retained attorney, A. Charles Peruto Jr., defended her decision to revoke Mill's probation last year and decried tactics by the rapper's legal and publicity teams to drag her personal and professional life under a microscope. Peruto specifically denied allegations that Brinkley tried to extort personal favors from Mill and that she lashed out with a two- to four-year prison sentence when he refused. "It's a ridiculous and outrageous claim," Peruto said. "What you have is an organization – extremely wealthy – who wants to attack a sitting judge. … It's 'How much money can you throw at a case and make your allegations stick?' "
He also issued a threat: Keep it up, and Brinkley will sue. "Her reputation has been severely damaged within the last month," Peruto said. "We absolutely believe she has an absolute solid [defamation] case." Peruto's comments – the first public statements on Brinkley's behalf since the November sentencing – are sure to escalate the unusual and messy public battle that erupted after she ordered Mill led away in handcuffs. While critics have attacked the judge's decision as overly harsh, a cadre of lawyers, hired public relations specialists and private investigators – backed by Mill's management company, Jay-Z's Roc Nation and Main Line billionaire Michael Rubin, a co-owner of the 76ers – has adopted a more unorthodox approach against a judge they say has been unscrupulous and unprofessional for years. They have scoured Brinkley's past for evidence to call her personal and professional ethics into question, while seeking to remove her from Mill's case by arguing that she has inappropriately sought to infiltrate the rapper's life and career during the nine years she has overseen his probation after a gun and drug conviction. But Mill lawyer Joseph Tacopina, who has been at the forefront of pressing claims of bias against Brinkley in the public arena, showed no sign of being rattled Thursday by Peruto or his threats of legal action. "We look forward to a lawsuit from the judge and taking this to court, where she will have to be deposed under oath and speak the truth," he said in an email. "We are not shocked that Judge Brinkley has resorted to this tactic." Until now, Brinkley had not publicly addressed her critics, bound by judicial codes that prevent her from discussing matters before her court. But, Peruto said, as attacks by Mill's supporters have moved beyond her handling of the rapper's case and toward efforts to impugn her integrity, the judge has felt a need to respond. Hiring Peruto as her mouthpiece is an unusual choice. Just days after Brinkley sentenced Mill last year, Peruto said, he visited the rapper in prison to discuss possibly joining his defense team. Ultimately, Peruto was not hired, but he maintained that his attempts to represent Mill have nothing to do with his work for the judge now. "She's not doing well," he said. "This has really affected her." Brinkley's decision to incarcerate Mill came after she found him in violation of his probation four times in eight years, mostly for failing drug tests or disobeying the judge's ban on out-of-state travel without prior approval. She revoked his probation in November after another failed drug screening and two unrelated arrests – the first in St. Louis during a fight at an airport, and later in New York City for reckless driving. "She conducted hearing after hearing after hearing before she gave him a two-year sentence," Peruto said. "It's not like she rushed to judgment." Perhaps the most serious accusations Mill has lodged against Brinkley since then stem from two private meetings she held with the rapper in her chambers in February 2016. In the first, Mill's lawyer alleged, she urged him to ditch Roc Nation in favor of Philadelphia-based manager Charles "Charlie Mack" Alston, who had worked with the rapper earlier in his career. Brinkley unsealed a transcript of that meeting late last week, which showed that it was Mill's then-probation officer — not the judge – who had pressed during that meeting for him to return to Alston. Peruto said Wednesday that he had urged the judge to make the transcript public as a move to deflate the accusation. No transcript exists of the second private conference, in which, according to Mill's lawyers, Brinkley called their client aside and pushed him to record a cover of a Boyz II Men song she liked – "On Bended Knee" – and mention her name in it. "It didn't happen," Peruto scoffed. "There was no request to make a song. He's a rapper. He doesn't even sing." The Inquirer and Daily News have reported that shortly after those meetings, Mill and his backers took their allegations to the FBI in the hope of sparking an investigation into the judge's conduct. The effort fizzled out, sources familiar with the investigation said, when the rapper refused agents' requests to record the judge. But Peruto maintained that Brinkley was unaware of any interest federal agents might have taken in the matter until Mill's lawyers mentioned it in a motion filed in December to seek her recusal from the case. "If there's an FBI investigation against Genece Brinkley that concludes she did something wrong," he said, "I'll pay them $100,000 out of my own money. It's a lie." During the interview, Peruto repeatedly stated that part of his motivation for speaking out on Brinkley's behalf now was to deter Tacopina or Mill's other backers from filing a complaint against the judge with the Pennsylvania Judicial Conduct Board. Such complaints remain confidential unless the board decides to act on them, and it is not known whether Mill's lawyers or supporters may have already taken that step or intend to do so. But, said Peruto, if they do, Brinkley will respond with a lawsuit. It would be at least the 20th she has filed since she was elected to the bench in 1993. An Inquirer and Daily News review of those cases last month showed that Brinkley, one of the most litigious judges on Common Pleas Court, had at times injected her professional role into her private legal battles in ways that legal ethicists deemed to be problematic. Letters she issued to resolve disputes with city zoning officials over properties she owned were written on stationery bearing her title and the contact information of her judicial chambers. Meanwhile, several former tenants who had become embroiled in legal fights with the judge alleged that she used her role on the bench in attempts to intimidate them from fighting back. Peruto, however, maintained that Brinkley had done nothing wrong and attempted to cast doubt on the tenants' claims by calling them sore losers after Brinkley prevailed against them in court. As for Mill, he remains incarcerated in a state prison in Chester, as his lawyers appeal Brinkley's sentence. His legal fight and battle in the court of public opinion shows no sign of abating.